Moving is going to cost you money no matter how much you try to cut back, so the best thing to do is to figure out exactly how much you'll be spending then you can see where you might be able to cut costs. This guide will take you through the steps to create your moving budget, and will provide all the information you need to determine exactly how much you'll be spending to move from your old house to your new home. When most people calculate their moving costs, they think about the essentials of getting from point A to B. What is often overlooked is the money you'll spend on what may seem like tiny details, but details that will quickly add up. Find out about hidden costs before you move, during your move and once you've relocated and are settling into your new home. Factoring in these costs will allow you to breathe a little easier and not let the fact that the previous owners took all the light bulbs cause you stress. With moving being such a complicated thing to manage and plan, I thought it might be useful to provide detailed information on how to set-up a moving budget. You may need to do some research before you begin so you can determine how much it will cost to hire a moving company or the cost of packing supplies or fees included in renting an apartment. 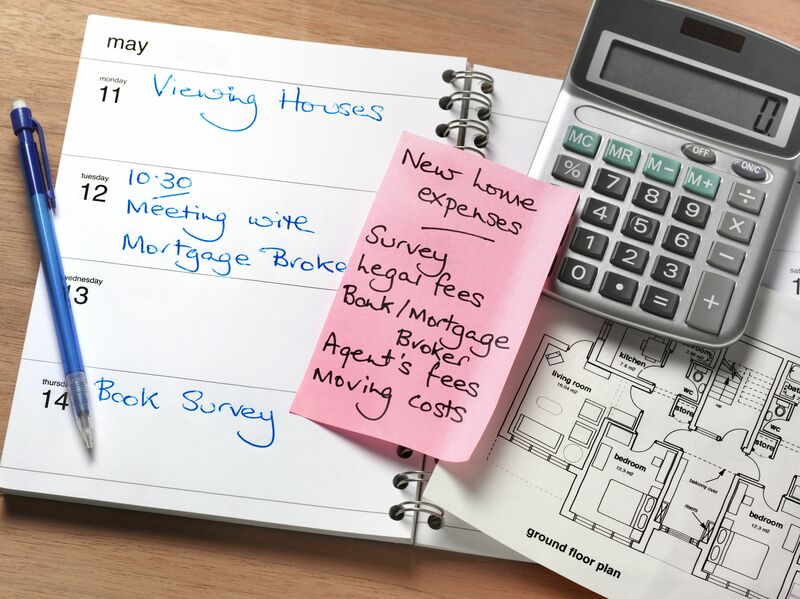 Even though it may seem like a lot of work, creating a moving budget should be your first step in planning your move. It will force you to look closely at ways to possibly save money and what the true cost of your move will be, both before the move and after you've unloaded the last box. Moving to another city; state or country means needing to get there and travel to your new home adds costs to your moving budget. So it's a good idea to factor in these costs while you're planning your move to ensure you've allocated enough funds and that any little emergencies that arise are accounted. And remember, while traveling because of a move is about reaching the destination and your new home, there's no reason why you can't enjoy the journey. So you're preparing for a move, and to cut down on moving costs, you scale down your belongings to just the essentials. But what happens when you arrive at your new, stripped-down home to discover you may have been a little too efficient? What will be the real cost of your move when you finally replace those items you left behind? When budgeting your move, take all costs into consideration. It's incredible how much your budget increases when adding in the amount you'll spend to set up new utilities, register your vehicle in a new state and restock your pantry. So carefully weigh (literally) your decision whether to include that jar of oregano or the toothbrush holder before you leave them behind. If you're moving into an apartment, there are a lot of costs you need to take into consideration more than just the monthly rent. There is a list of additional costs you'll be responsible for and depending on the type of rental, you may also be needing to pay utilities, parking and pet rent. Find out the possible list of fees so you can fully budget the move into your new apartment. While moving into your first home or apartment is a lot of fun, it's also a very stressful time, especially because it takes a lot of money. To help make this exciting leap, check out this article on taking the first step. Once you've followed the key ingredients in setting up your moving and household finances, you'll be ready to call up your friends to help you pack and load that moving van. Moving is expensive. So if there's a way to save some money, it's worth the time to uncover the tips and tricks to keeping it in your pocket instead of giving it to the moving company, rental agency or the government's piggy bank. Discover the top ways to save money on your next move by budgeting, learning how to negotiate with your mover and what can be claimed on your taxes - it's that simple.